We have experienced over the past 15 or so years a pattern that seems to come only from Takfiris such as Hizb al-Tahrir, al-Muhajiroon, the Qutbis and their likes. They act like bandits and steal content from Salafi websites, remove all credentials and use this to deceive the people. Their aim is portray to the people that they are involved in clarifying the truth. These Takfiri thieves are only interested in deceiving people into thinking they are objectively concerned with the Salafi creed and methodology and that their dawah is founded upon them. The reality is otherwise. They are the greatest of haters of Salafis and their da'wah and it is from their hypocrisy (in deed) to behave like this. 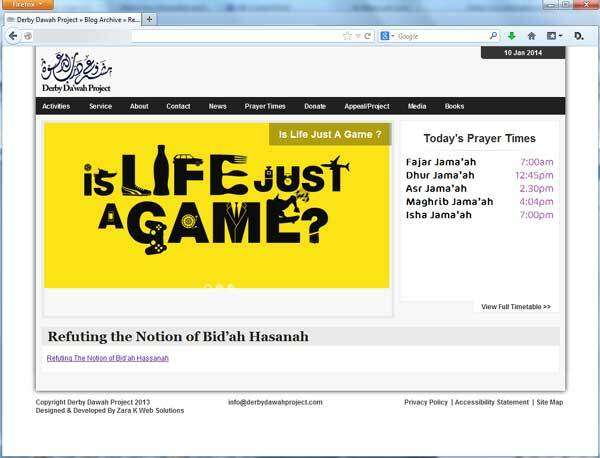 A blatant example brought to our attention is what has been done by the Derby Da'wah Project who have stolen eight or so articles from our sister website Bidah.Com. You can see the entire series: Refuting the Notion of Bid'ah Hasanah (Good Innovation) in Worship (see here). The Takfiri thieves compiled the articles in this series and put them into a PDF (see the file here). 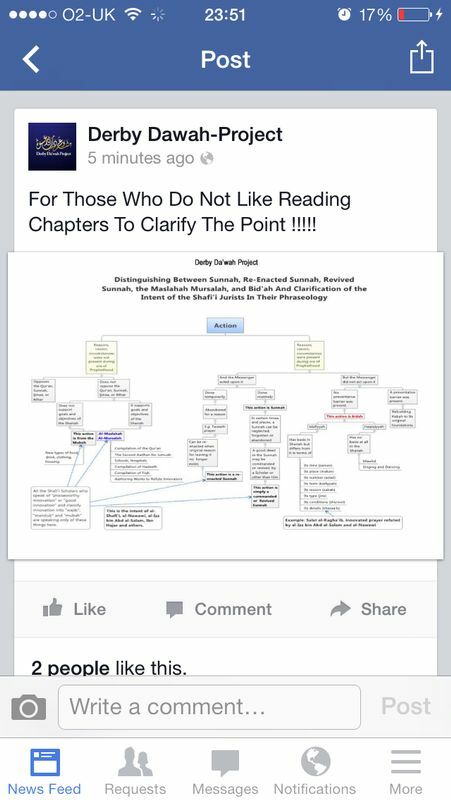 To prove this was an organized Takfiri theft, we can also show how they posted a chart from those (Bidah.Com) articles onto their Facebook page. This is our diagram from this article here and as you can see, they have removed the website references to Salaf.Com and Bidah.Com. This is dishonesty and it is not surprising because as the Salafi scholars of today point out, the Khawarij of old were much nobler and superior to the scum-like Khawarij present today. This is because the modern-day Takfiris permit lying, deception, treachery and dishonesty whereas the Khawarij of old considered these grave sins and (from their ignorance) feared kufr for falling into them. Alhamdulillaah who exposes these dishonest Takfiris in broad daylight and exposes what is in their hearts. They show the severest of enmity towards the Salafis but permit stealing from them and benefiting from their efforts and on top of that go further and wish to deceive the people in this regard too. Twisted! Just like their ideology.